Policy decisions can be of two kinds- the first are those that take some time before they could deliver financial benefits, for example development of highways and ports, while the others fetch returns almost immediately, for example linking Aadhaar with MGNREGS and central scholarships to curb leakages. Goods and Services tax (GST) also falls in the second category.The new tax regime that subsumes most of state taxes and central levies can certainly be termed as the most defining reform initiated by the BJP-led government. It’s been almost a year that the indirect tax reform changed the way our businesses and consumers interact with each other, and the time is ripe to conclude whether the celebrations are all hype and rhetoric or GST truly delivered on its promise. 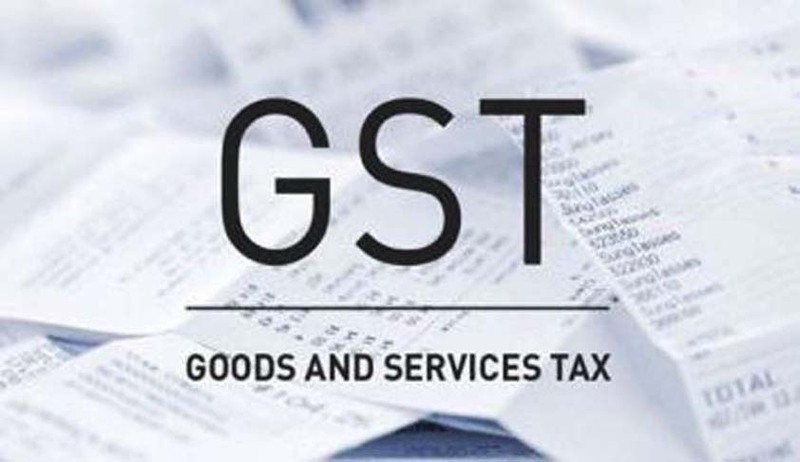 Every market analyst would talk about certain positive aspects of GST, such as simplification of hitherto complex indirect tax structure, removal of cascading, uniformity through similar rates across all states, rationalization of levies on goods and services and ease of filing returns under a single user-interface. But these macro benefits aren’t enough to understand GST in its entirety; for the same one would need to notice signs at the micro level. Accept it, India is a country where acute income disparity still prevails and lifting millions out of poverty is a work-in-progress. Therefore, no policy decision that fails to live up to the dreams of those at the bottom of the pyramid is a laudable decision. What about GST? ‘One nation, one tax’ rhetoric aside, the new tax system has played a key role in formalizing the Indian economy, a precursor to equitable distribution of national income. The predecessor to GST in terms of policy action was demonetisation and the dual strike on the hitherto opaque economy has paved the way for transparency and compliance. Have you ever wondered what makes urban cities more developed than rural parts? It’s the way people are integrated with the formal economy in urban parts, with enterprises adhering to laws related to minimum wages, working hours, contribution to social security schemes and retrenchment of employees, which leads to an atmosphere of heightened social and financial well-being. GST has delivered enormously on this aspect. Let’s look at the numbers. Amidst the opposition cry of a jobless growth, the Employees’ Provident Fund Organisation (EPFO) numbers depict a contrasting picture. The body has reported that 41 lakh jobs were created in the formal sector during September 2017 to April 2018. This can be construed as many employers going for formalization of their workforce by subscribing to social security schemes as well as many small enterprises opting to formalize their operations in the wake of the compulsion that their customers in the supply chain will prefer to do business with only those who pay their due share of GST so that credit for input taxes is claimed.Government’s decision to subsidise firms’ outlays on contribution to social security schemes for employees also played a supplementary role. With a true and fair picture of value addition (sum on which GST is levied) and expenditure on wages and salaries comes overall transparency in the system, which leads to reduced tax evasion (both indirect and direct) and an overall addition to state resources that is used not only to build new schools, hospitals, roads and bridges but also to recapitalise ailing public sector banks. Another area where GST scored a winner is uplifting the sentiments of businesses and investors by infusing predictability. As per the Deloitte India’s survey of chief financial officers, more than three-fourth of responding executives are said to hold the belief that ‘GST has had a positive impact’. It also says that 57 percent of respondents look forward to ‘taking greater risks’, a move that can eventually lead to double digit GDP growth rate. New roles within existing enterprises are already being created for new skill sets ranging from online filing of GST returns to working on e-way bills. Without a doubt, the new tax regime did come with its set of initial glitches and regularalterations leading to an atmosphere of anxiety. But what else did the detractors expect- a single-stroke implementation of a reform that has fundamentally changed the way businesses interact within the economy? Critics are to remember that the western world’s Brexit couldn’t be executed in a day or a month. Many areas demand improvements. From time-bound refund of input tax so as to ease the pain of exporters to further simplifying GST returns and assuring an unfailing IT infrastructure for GST network, government seems committed to addressing concerns, besides further rationalizing tax rates on various goods and services. Critics must further note that tax compliance under GST is steadily rising indicating that the new regime is settling in much faster than anticipated. More businesses filed summary sales return in May 2018 as compared to the preceding month and the gross revenue collection in May was higher than the monthly average of GST collection in FY2017. As far as bringing petroleum products under GST is concerned, we are to understand that this is related more to centre-state political equation than to economic sense. States levy ad-valorem tax on petrol and diesel and this levy contributes substantially to state governments’ resources. Hence,neither would states be willing to accept reducing tax to the highest GST rate of 28 percent nor creatingyet-another GST slab seemsa wise idea. In a recent development, the GST Council is said to be prepared to bring aviation turbine fuel (ATF) and natural gas under GST. If done, this can pave the way to ultimately bring even petrol and diesel under the new tax regime, provided that states astutely look for other sources to generate funds for their budgets. The best alternative is to contain their respective deficit to GSDP ratios by limiting expenditures such as loan waivers. After one year of GST, what needs to be celebrated is the way it incentivizes enterprises to move towards formal sector. With more and more small and medium enterprises entering the formal economy and companies registering their employees with social security schemes and abiding by minimum wages and retrenchment rules, the wide gap in income distribution will slowly but certainly fade away, giving rise to a new inclusive India. This entry was posted in blog on July 16, 2018 by admin. Opposition parties were once critical of GST but now they have no issues with this. This shows how their criticism was totally unfounded and just for the sake of gaining attention of media and public. Any reform measure takes time to settle and GST is one of the most radical changes in recent past. At least a period of 5 years must be given to this new regime to settle down and work smoothly. Global trade is already uncder stress due to protectionist and inward looking policies of governments of USA and China. Indian exporters are additionally being hit with delay in credit of input taxes. India cannot have a single slab GST because the welfare government of country cannot tax milk and luxury cars at same rates. Hence anyone criticising multiple slabs is on the wrong side. Just like indirect tax, the government should also bring changes to direct tax by reducing tax rates for smaller enterprises and increasing them for companies that have low input costs like IT sector. If someone says that by introducing similar indirect tax rate for goods and services across the country will undermine federal structure, he must know that GST council comprises of states as well. GST is a laudable work of government and its socio-economic benefits will be many. It will not only increase tax collection but it will also provide increased opportunities to youth for employment. States earn a major chunk of their revenue from levies on petrol and diesel hence expecting them to allow bring these commodities under GST is a dream. At least for next 2 years the scheme will not change. It is true that economy has been formalised by GST in a way that more and more enterprises are turning to paying their share of taxes and reporting their revenues in true and fair manner. The rate structure is vague and it has to be rationalised so that more everyday goods and services attract less levies. The 28% slab has to go since it inflates the costs too much.